President George W. Bush waves before boarding his helicopter, Marine One, on the South Lawn of the White House in Washington. 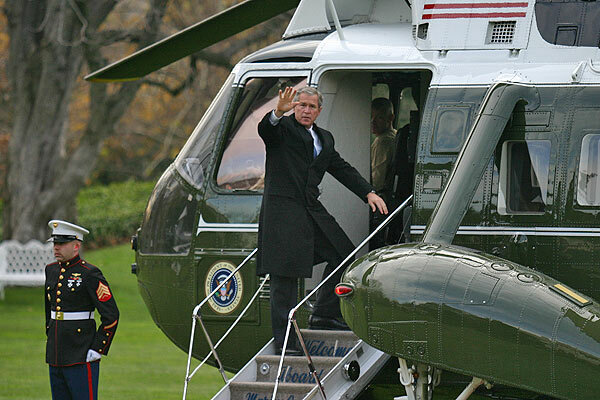 December 1, 2003 - President George W. Bush waves before boarding his helicopter, Marine One, on the South Lawn of the White House in Washington. President Bush is traveling to Michigan and New Jersey today to attend fundraising events.